Le prime due foto si erano già viste insieme, ma il secondo scatto di Horvat (direttamente dal suo archivio) e la pubblicità Charles Jourdan di Jean Larivière completano adeguatamente la sequenza. Una domanda: qualcuno sa dove é conservata la scarpa di André Perugia? Bata Museum? Romans? 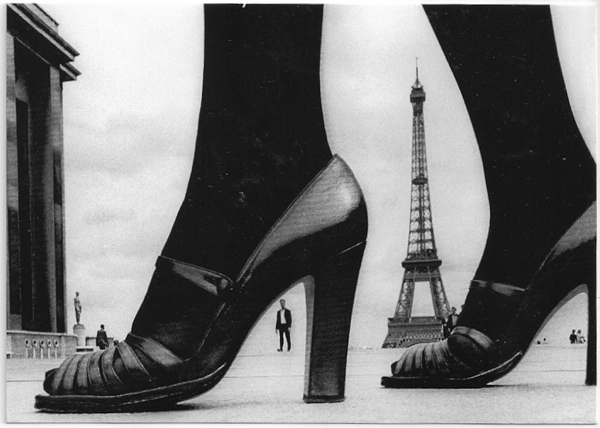 Someone before us put the first two pictures together, but the addition of the second Horvat shot (straight from his archive) and the Charles Jourdan ad by Jean Larivière make a lovely Eiffel/Shoes tribute. 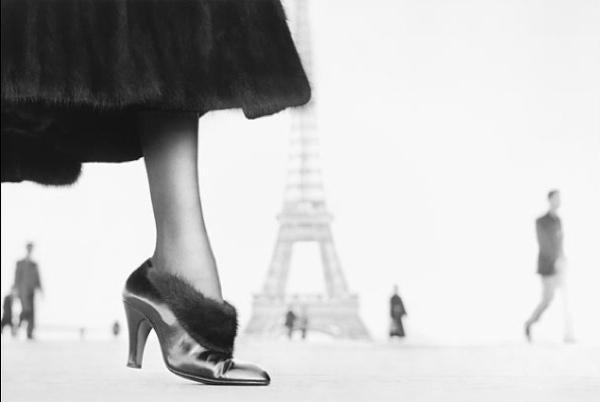 One question though: did anybody know something about the André Perugia shoe? Where is it held? Bata Museum? Romans? 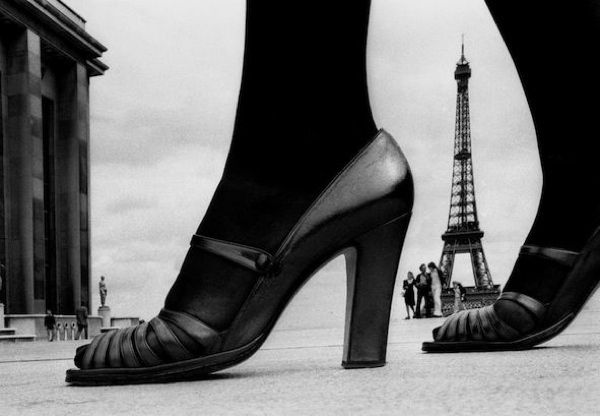 Per chiudere la parentesi Eiffel, le belle foto non mancano, ma lo scatto celebrativo di Erwitt é probabilmente il più adatto: auguriamoci che sfugga al destino triste di diventare una pubblicità per la filosofia (?) jeans-couture. 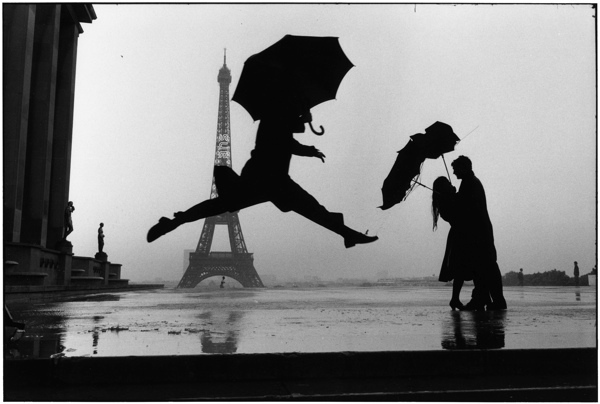 There are a lot of nice Eiffel Tower pictures to wrap nicely this little sequence, but the famous Erwitt celebrative shot is THE one fitting. Let just hope it escapes the sad fate to became an advert for the jeans-couture philosophy (? ).